All Products Manufactured & Shipped from Trademark's Ohio Facility. 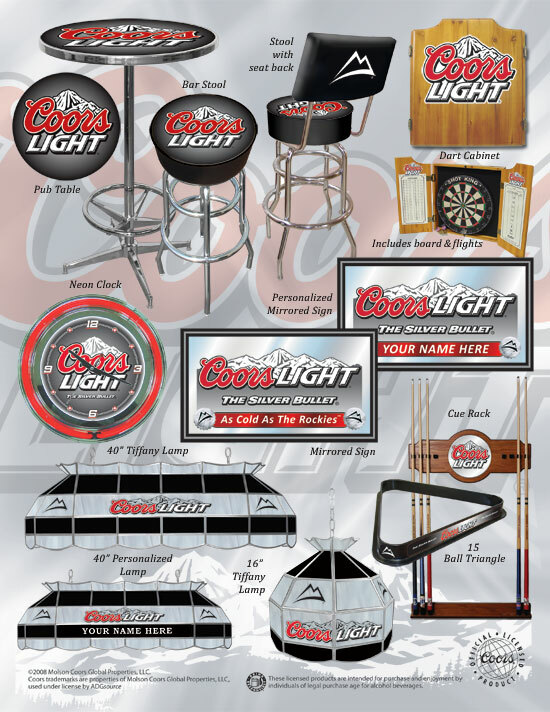 All of the above products can be ordered with any of our many different themes including officially licensed Beer, NHL and State College logos. Please visit the website for available themes. Since our Game Room Products line has started production in our facility this summer, we have been striving to make gains on the production times for the various products listed above. Please make a note of the IMPROVED production times. Aside from the pub table, everything else is produced to order in less than 1 week and in some cases 2 days. If you've been waiting for the production times to improve before placing any orders, then NOW IS THE TIME TO ORDER and START SELLING THESE PRODUCTS! All of the products listed above will be 10% Off the regular wholesale price. You may never see these prices this low again! To get a good view of the line, please visit www.ADGsource.com From here you can clearly see the line. All products are available from www.TrademarkCommerce.com for purchase as usual, or you can call our offices to place your order at 1-800-218-0104.